Obtaining a death certificate is vital in order to administer a deceased estate. The Births and Deaths Registration Act requires every death to be reported to the Department of Home Affairs. The death notice obtained from the doctor / pathologist needs to be handed in at Home Affairs. Home Affairs will then issue a Death Certificate approximately two weeks later. This detail will usually be handled for you by your funeral director. The Executor needs to take several copies of the Death Certificate to a police station along with the original, to be stamped and certified by the police. Every instruction given and transaction done on behalf of the deceased, e.g. closing accounts, etc, will need to be accompanied by a certified copy of the death certificate. 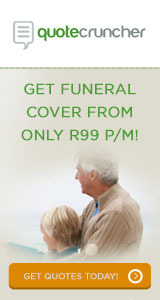 See information regarding ‘Registration of Deaths‘ on the South African Department of Home Affairs website. Find the B132 form, here on South African Home Affairs website – Application for Death Certificate.